It’s a memory you carry with you the rest of your life: a helicopter floats above a remote mountain before setting down, you hop out as the rotors roar above you, a strong blast of wind pummels down as the heli lifts off and then, silence, as you take in alpine peaks as far as the eye can see. But this isn’t your typical heli trip. This time, the snow is replaced with dirt, the Gore-Tex swapped for shin guards and your weapon of choice is two wheels instead of a waxed base. Welcome to heli-biking in British Columbia. 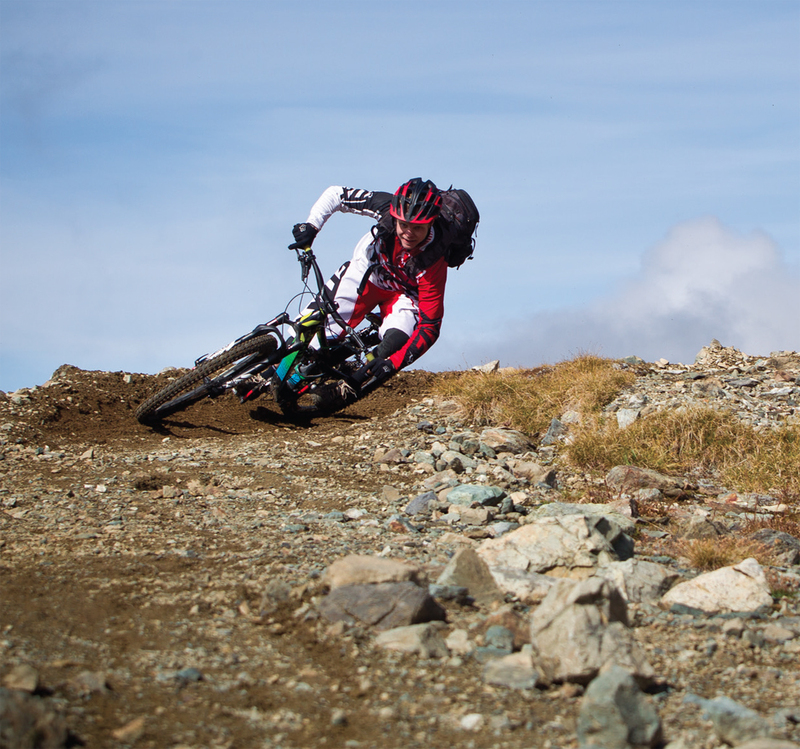 It’s no secret Whistler and the Sea to Sky corridor have become world-renowned mountain bike destinations. The Whistler Bike Park alone attracts riders from around the world, while the hundreds of kilometers of easily accessed singletrack in the area will satiate even the most die-hard pedal pusher. But, if you’re looking for even more adventure, helicopter accessed mountain biking in the high alpine of B.C.’s Coast Mountains should be on your bucket list. One of the more popular drops in the region is on Mount Barbour, northwest of the village of Pemberton. Until recently a rider’s only option to travel up into this alpine zone was by two feet and a heartbeat. And while it may have been fun to rip down Barbour’s open slopes, it wasn’t an environmentally sustainable practice. It began to draw the attention of local wildlife groups and the B.C. government. 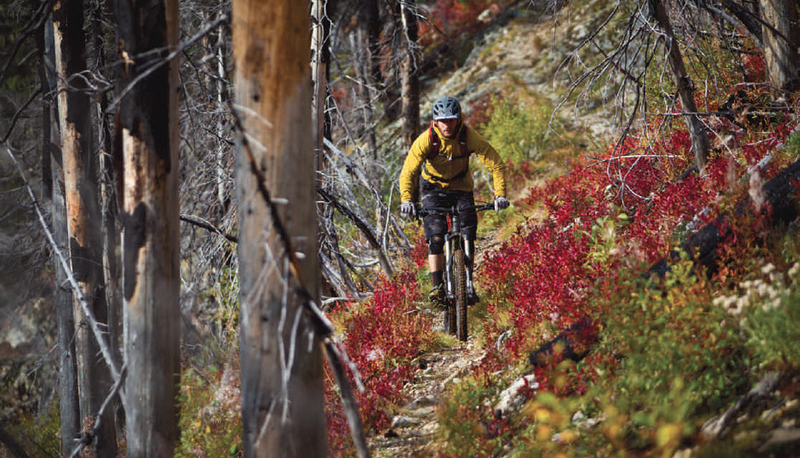 Paddy Kaye, the founder and president of Joyride Bike Parks was brought in to design and build a trail from the peak of Mount Barbour to link with an existing trail in the sub-alpine. Kaye went to work in August 2015. The trail on Mount Barbour won’t be finished until Summer 2016, according to Kaye, who is taking cues from where the trail has been utilized up until now. The new alpine trail winds its way down the shoulder of Barbour over loose rock and several berms, through the alpine bowl and past a couple of lakes. It then intersects the tree line where several abandoned mines can still be seen. Sticking to the right side of the valley, this is where the new trail links up with the existing sub-alpine trail, originally built in 1907 as a horseback route cut by local miners. At over 1,850 metres of vertical from the peak to the valley, this isn’t the type of ride you want to jump off the couch to tackle. The right equipment is also important. Kaye suggests riding a trail or enduro type bike, as there are stretches of pedaling sections where a full downhill rig would not fare well. 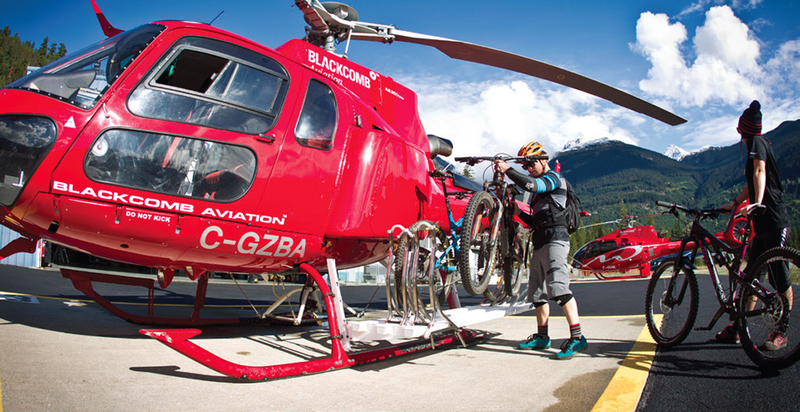 For Spring/Summer 2016, Blackcomb Aviation is installing a new mounted bike rack system on its machines, a marked improvement over the previous method of long line drops, which can take a couple trips depending on the size of your party. These new racks can accommodate up to six bikes and will make it much easier to depart directly out of their Whistler or Pemberton bases, according to Meeker. As demand for these types of experiences increases, both Meeker and Kaye hope to expand heli-biking options in the region. “I think this is a tipping point of what we can do with Blackcomb Aviation and Joyride Bike Parks,” says Kaye. “I’m hoping that in the future we can legitimize more land access and have not just the Mount Barbour trail, but have multiple drops in the area. And there’re all kinds of opportunities outside of biking as well, like studying wildlife and reporting sightings. See more from our new Mountain Life Resort Guide.